Shane Oschner of...or IS the band Everything In Slow Motion. 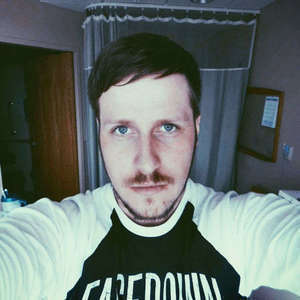 This Facedown Records artist tells us everything there is to know about the history of his arrival as a one man show...from the formation of his first band Hands with his high school buddy to now and everything in between. Check Shane's site in notes below. It has everything that you need to know about Everything. What a crazy story...it all started with a walnut. Everything In Slow Motion: "Coma"
Everything In Slow Motion: "Red"
Everything In Slow Motion: "Bad Season"